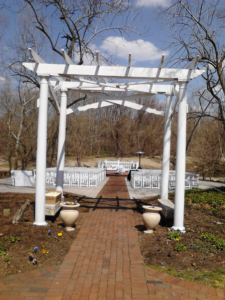 It was a beautiful spring day at the #Elkridge Furnace Inn, I worked with #Little House of Flowers to set up this wedding. The bride used a beautiful blend of lite blue and white for her wedding and reception. 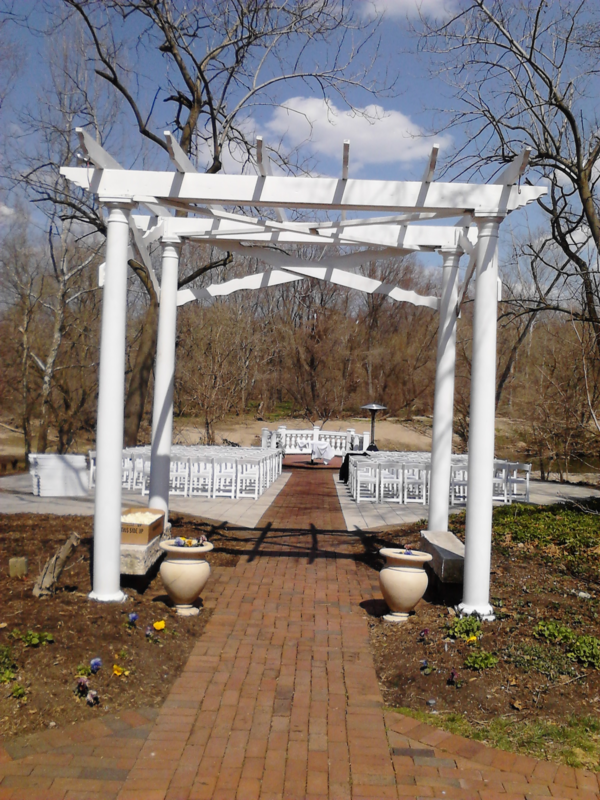 The ceremony would be held outside and the weather was perfect. The reception would end the night in a tent with hanging votive candles, and centerpieces that screamed spring.